Orange chicken named Connie was on the day’s menu for one Lower Merion fireman last week. He did not know until later that his prey was a pet. Lower Merion Police received a call for a “large, orange chicken running at large” on a local lawn last week. So the responding officer called his fireman friend, who took care of the situation with a bow and arrow. The fireman, who reportedly enjoyed to hunt, later ate the chicken, sources told NBC Philadelphia. At the time, neither the officer nor the fireman knew the trespassing chicken was a local woman’s pet. They simply thought it was a danger to domestic animals in the neighborhood, said police. "I think [the officer] made a bad decision," Lauren Steltzer said Tuesday. 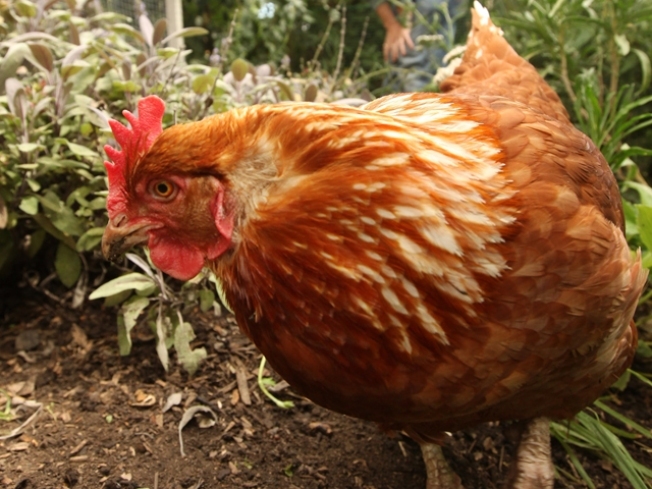 Steltzer, 48, has been raising several chickens as pets for a little more than a year. She says her neighbor actually came across Connie and called police to keep her from getting hurt. "She said she was worried about it because it was cute, it was really sweet and she didn't want it to get hit by a car," Steltzer said. The Belmont Hills mom actually plastered Facebook and the neighborhood with Chickens on the Lam flyers before learning of Connie's fate. Steltzer learned about the killing from a neighbor who heard about the fireman’s use of his archery skills on March 29. The Lower Merion Police Department didn't want to give an official comment, but they did say that the officer involved was concerned Connie could hurt domestic animals. They also said the animal control office was closed for the day, so he instead took another route to capture the bird. "I'm very pleased with how serious they are taking it, I didn't expect them to," Steltzer said. She says the investigating officer admitted that the patrolman involved "didn't make a wise decision"
According to police, Connie's murder was not illegal. Poultry is not protected under state gaming law and shooting a bow an arrow is allowed. Police said the investigation is ongoing and authorities have not released the names of the men involved. "I don't particularly want an apology, I'd just like to think about never doing that again," Steltzer said. The woman says she plans on taking her daughter out to buy some new chicks to make up for Connie's vacant spot.